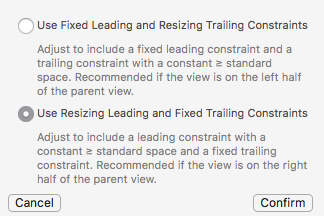 Fixed leading and trailing constraints may cause clipping, one of them should have a constant ≥ standard space. 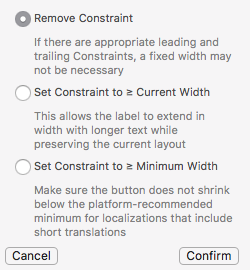 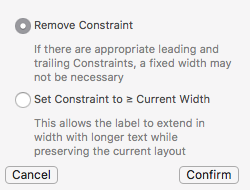 Adjust to include a fixed leading constraint and a trailing constraint with a constant ≥ standard space. 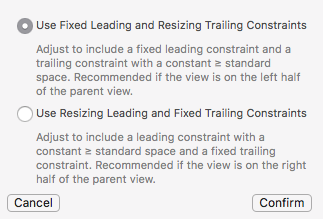 Recommended if the view is on the left half of the parent view.